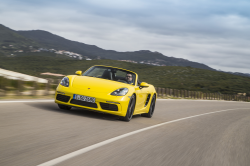 The side-impact airbag sensors weren’t properly tightened in just over 400 Porsche vehicles . Without the proper tension, the sensors may not trigger the airbags to deploy in a crash. Porsche dealerships will tighten things up in a recall expected to begin on May 5th.